Offers the same protection as the Armor brace, with an additional Medial Ski Deflector on the inner hinge that makes the brace safe for skiing. 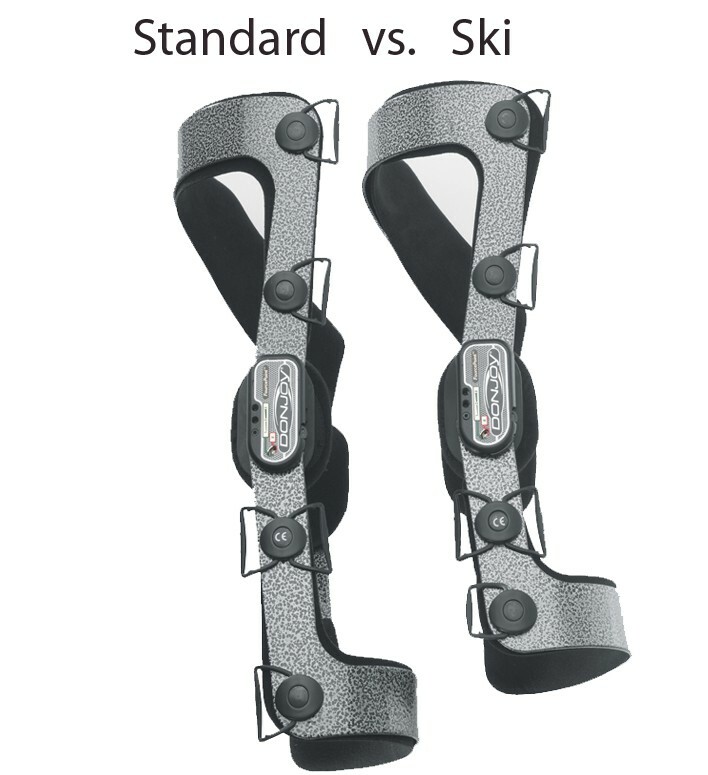 The BEST off-the-shelf knee brace in orthopedic history customized for Skiers. This DonJoy Armor Knee Brace - Ski Version is soon to be discontinued. The Armor Knee with Fourcepoint Hinge is a good alternative with updated features to protect the ACL, MCL or Meniscus. Select the Armor Knee Brace with Short Calf and Armor Hinge if you are looking to purchase the brace to be worn with ski boots. Shop the alternative DonJoy Armor for Skiing here. The DonJoy Armor knee brace is the brace to use if you are an extremely active individual or athlete who suffers from an ACL, MCL, or PCL instability or injury. The Armor brace is the strongest and most supportive brace you can get without a prescription. Since skiing knee injuries are so common, DonJoy created a version of the Armor knee brace just for skiers. The DonJoy Ski Armor is similar to Standard Armor knee brace with a short calf culf, but also includes a Medial Ski Deflector along the medial or inner hinged of the knee brace. This deflector prevents the medial (inner) hinge from "hooking up" with the other brace or knee. This feature is only available with the Ski Armor Knee Brace. The DonJoy Ski Armor is recommended when two armor braces are worn at the same time. 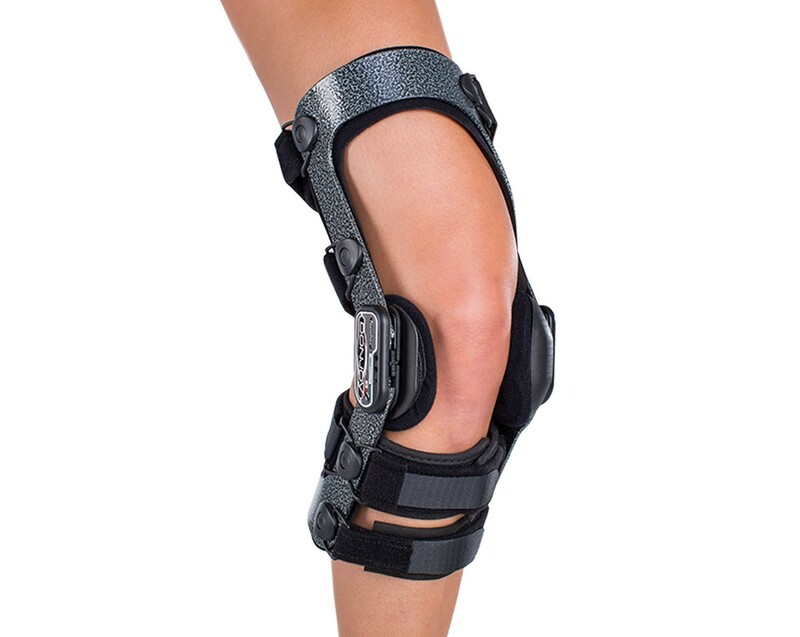 If only one brace is to be worn, the DonJoy Short Armor Knee Brace is recommended. The Ski Armor is 15" in length (short calf) to accommodate ski boots and other high calf boots. 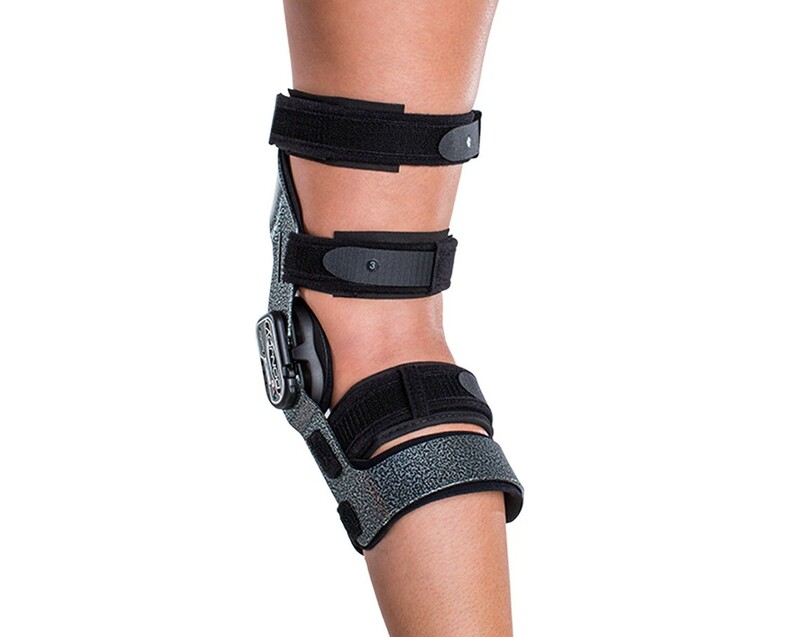 Keeps you safe on the slope by preventing the middle hinge from "getting hooked up" with other braces or knee. It could save your life! The Hinge enables you to set the flexion angles (25˚, 35˚ (factory setting), 45˚, 55˚, or 65˚) based on your condition or point of recovery. This puts you in control where the degree of tension stops. Provides a smooth transition between boot and calf cuff so you'll never pinch your calf again. This is an add-on accessory that is purchased separately.